Between the wineries and vineyards, incredible local cuisine and lively entertainment scene, the Niagara-on-the-Lake region is a welcoming place to live. Now is a perfect time to purchase property in the NOTL area, and Niagara on the Lake Realty is ready to help you find your dream home. 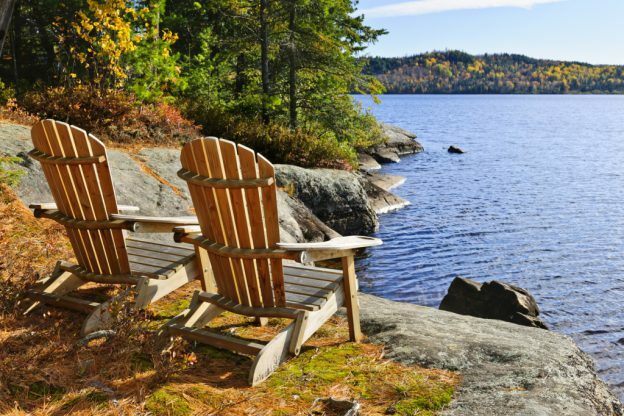 Let us take a few moments to look at some of the main attractions in the prettiest town in Ontario. The Charles Inn is a great place to relax with a classic novel or sit on the patio as the sun goes down. An incredible manor situated right on Queen Street, the main street of Niagara, the Inn is the perfect place to enjoy the luxurious gardens with a glass of wine. There are few things as amazing as an old, independent book store. These treasures are becoming rarer and rarer as the years go by, as even large chain book stores are closing down. The Old Niagara Bookshop, located on Regent Street, is full of special books. Its collection is very carefully kept. The children’s selection is not to be missed. One of the most serene and impressive installments in Niagara-on-the-Lake’s fine dining scene, the Ravine Winery and Restaurant is located on York Road and serves wine from its own vineyard. It features a cannery and winery where you can buy fresh jams, sauces and the best vintages of fine wine. Best of all, the entire establishment is certified organic. A major tourist attraction due to its incredible theatre experience, the Shaw Festival Theatre has been in operation since the early 1960s. This theatre was named for renowned playwright George Bernard Shaw. The highlight of Niagara-on-the-Lake’s entertainment scene, the Shaw Festival runs at the theatre from April through October. It features an outstanding lineup every year. Located on Queen Street, the Treadwell wine bar is a perfect place to relax and socialize in a refined and upscale location. It is a popular destination for theater-goers after the show, both actors and patrons. If you visit, you may get the opportunity to meet a few of your favorite performers. The menu is limited and mostly contains snack foods, but the wine list is superior. With all of these great attractions and more, Niagara-on-the-Lake is an ideal place to relocate. If you are looking for a great NOTL realty to help you find a home in the area, feel free to contact Kevin Stokes or another of our real estate agents today! This entry was posted in Blog, Uncategorized on October 9, 2014 by wp_admin.